Kickball365 will award cash prizes to teams after the completion of a Circuit Event. Note, the Prize Pool minimums may increase the expected payout at any time depending on the Circuit Event Manager. All players & referees will be required to check-in at the Mandatory Registration located at the HQ Tent. Failure to check in at HQ Tent will result in yellow card for their first game at the Circuit Event. Identification Cards (ex. Driver's license) are required at the time of checking in. Players or teams that fail to check-in with Kickball365 place the Circuit Event at risk of losing Circuit privileges and place the team/players at risk of not being able to participate in future Circuit Events. There will be parking available at the field location. Public transportation via taxis is highly recommended if your team does not have a rental car/van. Be sure to check with your Hotel hosts regarding the amount of time it should take to travel to the events. DISCLAIMER: There is NO official transportation from Kickball365 being provided to the fields. Kickball365 recommends players take advantage of the Advantage Rent-a-Car Sponsorship offering. Teams are encouraged to report to the field an hour before Pool Play Games are set to begin. We encourage all teams to arrive early to secure a parking spot. Players are to be held accountable for the behavior of their non-playing coaches, Captains/Coaches, teammates, Franchise Owners, supporters and guests. If the conduct of any member of such group or groups is deemed by Kickball365 to be unsportsmanlike or disruptive to the competition, then the coach, teammate, Franchise Owner, supporter, guest, and/or Player is subject to the same disciplinary actions as stated above. This Circuit Event will utilize the Official Rulebook of Kickball365. Once Kickball365 receives and accepts your entry, you will not receive a refund if you alert the Kickball365 after the deadline, you may not give or sell your player spot to anyone else, and you may not transfer your player/team entry fee to future events. You must be at least 21 years old to participate in this event and the social events planned for during the weekend. You must be in good health and physically prepared to compete in this event. You are required to sign a waiver at registration at the HQ Tent on the Game Day. Team jerseys or t-shirts are required to participate - there is no policy that states you must wear a Kickball365 t-shirt for the Circuit Event. The event's HQ booth will be at the entrance of the fields to assist players, referees, and fans with any event questions and help you find your way to your field. HQ will also serve as the event's Lost & Found. Items that are found throughout the day will be kept here. Any valueable items NOT claimed by the end of the event will be shipped to our Washington, DC office. To claim a lost item after the event, please contact the Support Team at info@kickball365.com. The Medical Team for this event will be the local Emergency Department. They will be available to assist with any event day medical needs and administer first aid when necessary. The Circuit Event's prize pool for this event will be determined at the close of registration. The Prize Pool is based on the final number of teams attending. The 1st Place, 2nd Place, and Final Four Teams will receive checks in the mail after the conclusion of the event weekend. No cash will be exchanged at the event itself. We encourage all players and fans to use the Event hashtag. Follow @Kickball365 on Twitter for updates regarding the Social Events. Spectators are encouraged to watch games from the sidelines only. Please do not sit in the deep outfield of the marked fields. Fans can bring pop-up tents, pop up chairs, and umbrellas (if needed). Please do not bring tents that require stakes. Anyone! All players are invited to compete in a Circuit Event on the National Tour provided the player is at least 21 years old at the time of registration, has adequate health insurance, and is properly registered on the roster of a team at the Circuit Event. 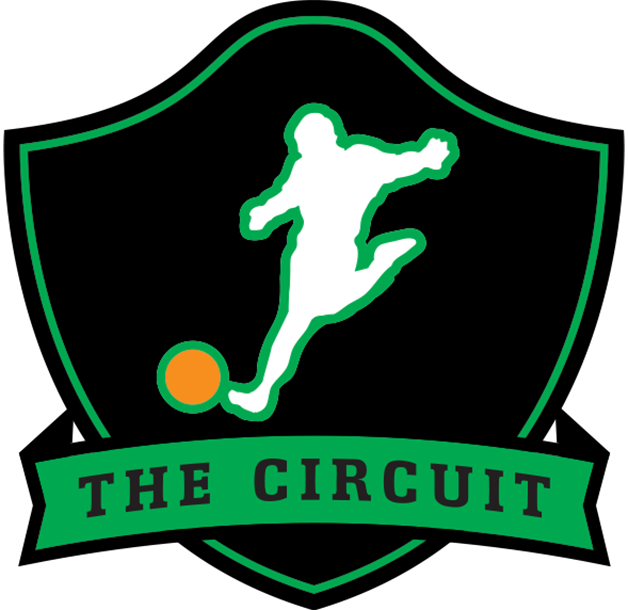 The Circuit assigns registered teams into three (3) conferences based on the following criteria: Conferences of The Circuit include: East (Orange), Midwest (White), and West (Green). Can be found on the Kickball365 Knowledge Base at https://kickball365com.uservoice.com/knowledgebase. All players of The Circuit agree to these terms for each event attended. After registration is closed each team in attendance will be assigned a tournament seed. The tournament seed is determined by the Established TeamÃ¢? ?s current ranking in the CRS. Note, New/Open Teams not given a pre-tournament rating, as there is no data with which to make such a determination, will be drawn randomly to complete the seeding. To seed for a Circuit Event, Kickball365 will take a teamÃ¢? ?s averaged ranks (i.e. 1st, 2nd, 3rd) in each of the individual ranking systems Ã¢?? ELO, FIFAÃ?Â®, and RPI Ã¢?? to generate their CRS Rankin to be used to seed teams at each Circuit Event during the National Tour Year. By contrast, the CIRCUIT SCORING SYSTEM (CSS), which awards points to registered Circuit Teams solely on their performance at Circuit Events, will be used to seed teams at the Circuit Championship Weekend. Teams are eligible to earn Conference Points when they attend Circuit Events in their designated Conference. No points are earned at a Circuit Event for teams who travel outside of their Conference. Teams who win their Conferences will receive 1000 bonus Circuit Points and the designated Conference Trophy. All Franchise Owners are required to register for the Circuit Championship Weekend. Regardless of when a Franchise Owner registers they will still claim all earned Circuit Points for all previous attended Circuit Events and the points will count towards their Overall National Tour Standings. All Circuit Event registrations must submit payments through the Official registration system. No offline payments are accepted. CRITICAL: *Any Team Captain who requires to add an additional emergency player after the Event deadline is required to email Kickball365 at info[at]kickball365[dot]com with their request. Kickball365Ã¢? ?s Rules Committee will review and approve/deny all Team requests. If approved, the player will be added to the Team Roster and the Team Captain will be charged $65. Payment due at time of registration. Submit questions to Kickball365 by emailing info@kickball365.com or visiting the Knowledge Base. Check out this Kickball tournament 'San Francisco, CA - NorCal Kickball Open (Women's Division) #NCKO2015' with The Circuit!